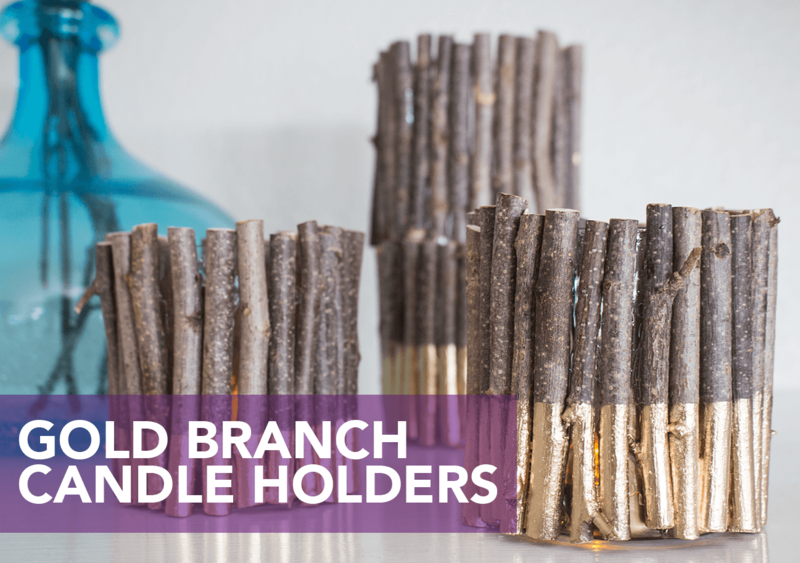 Give rustic a gorgeous edge with this pretty DIY Gold Branch Candle Holder project. This gorgeous holiday decor piece is a classic glue project and Aleene's The Ultimate Multi-Surface Adhesive is the perfect match. 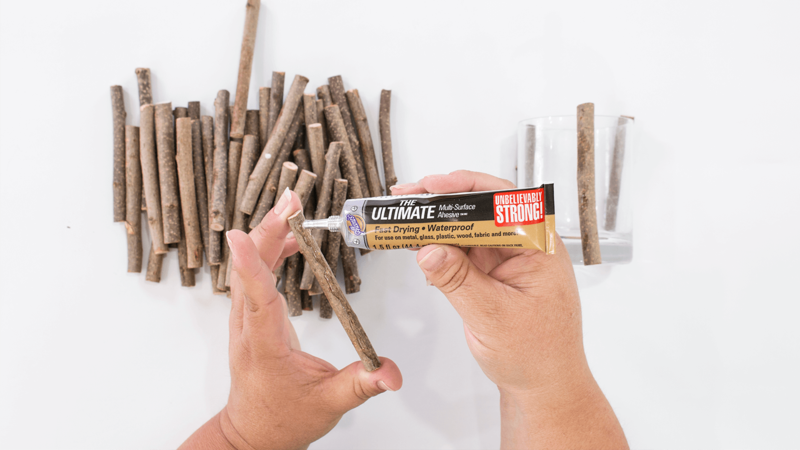 Apply Aleene's The Ultimate to each stick and press onto the glass. Work in sections as the glass is slippery and the sticks will want to fall off. 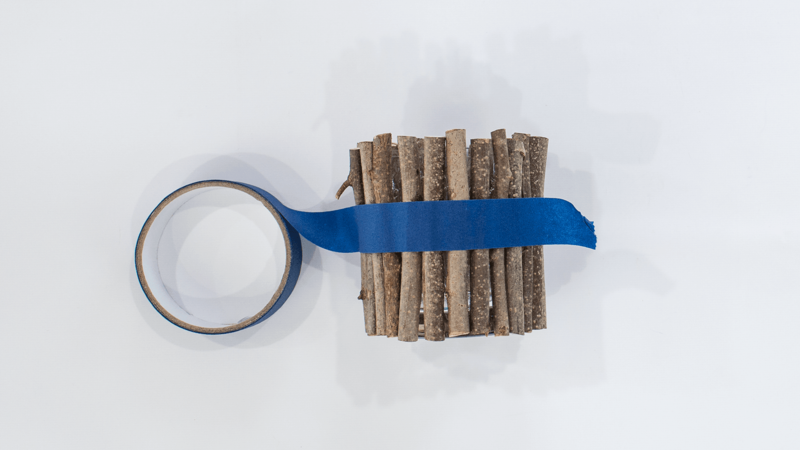 Secure sticks in place with masking tape while Aleene's The Ultimate dries. 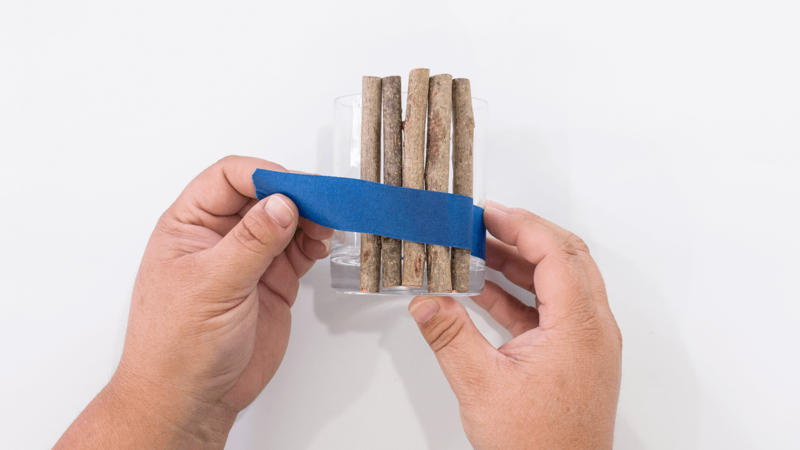 Continue adding sticks in sections until all sides of the glass vases are covered. Mask off the lower section of each candle holder with masking tape. Then spray paint the masked area gold. 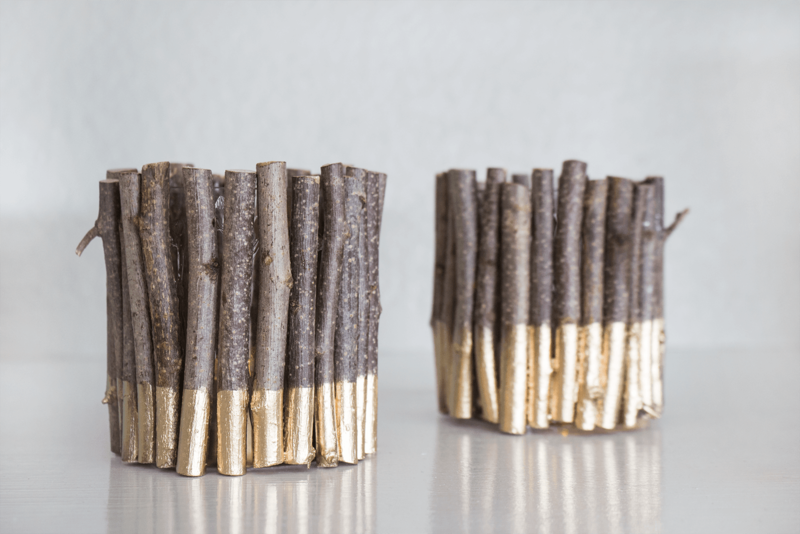 Remove the masking tape to reveal the finished gold branch candle holders. 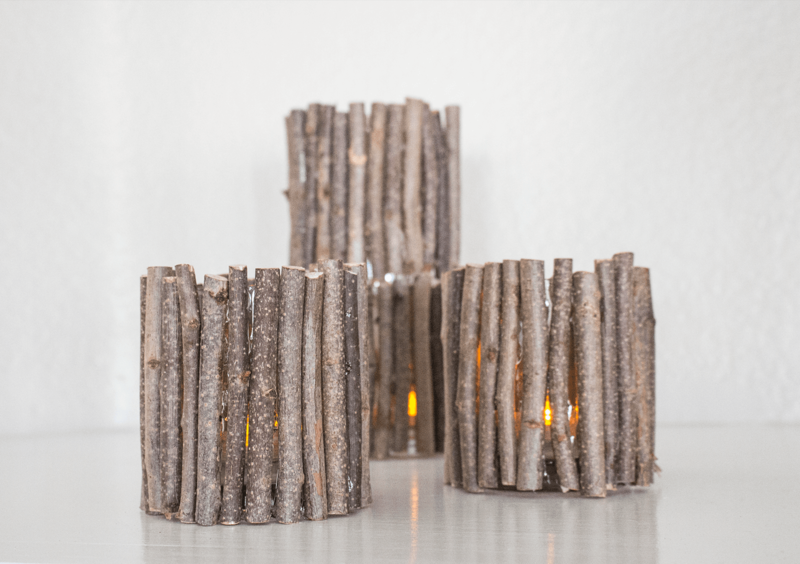 Add battery operated votives inside each candle holder and enjoy the warm glow!